I love using my Apple Watch for tasks like reading a text message, or checking who might be calling me right now. It’s something simple that would previously require you to take your phone out of your pocket or purse, and the ability to quickly manage that task from your wrist is really convenient. But there are some other tasks that are made simple with the help of the watch, such as snoozing or dismissing alarms and timers. Since you are only pressing a button to mange this interaction, it’s something that the watch can easily handle. 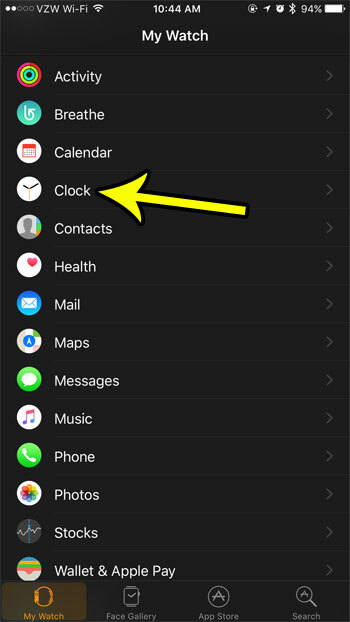 Fortunately there is a setting in the Watch app on your iPhone that you can enable which will let you perform this task directly on the watch. The steps in this article were performed on an iPhone 7 Plus, in iOS 10.3.3. The Apple Watch is an Apple Watch 2 using the WatchOS 3.2.3 version. Once complete you will be able to snooze or dismiss timers and alarms from your watch. 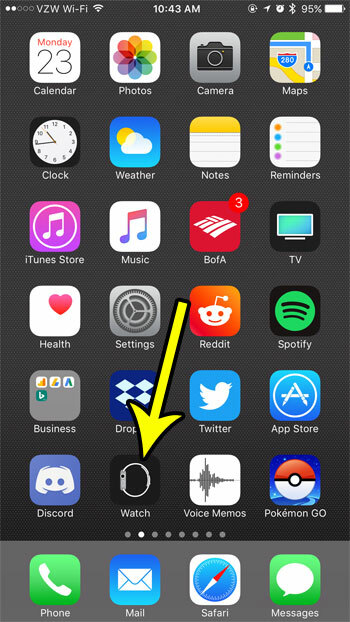 Step 1: Open the Watch app on your iPhone. Step 3: Choose the Clock option. 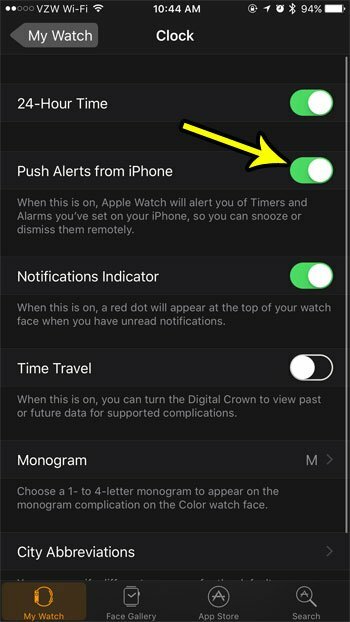 Step 4: Tap the button to the right of Push Alerts from iPhone to allow for the remote snooze or dismissal of alarms and timers. Is your watch always running out of battery life before the end of the day? Learn how to enable power reserve mode and extend the battery life for much longer.